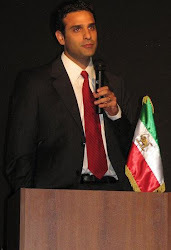 There are several important misunderstanding on nonviolence and Nowruz Revolution in Iranian opposition which causes many to reject nonviolence. This misunderstanding that in nonviolence, self-defense is rejected stems from the misunderstanding on the meaning of violence. Violence in different fields can have different meanings. In nonviolence, violence is referred to an action with intention to cause harm to another. Self-defense, if there is no intention to harm, should not be considered an act of violence. As an example, the Free Syrian Army was formed to defend nonviolent protesters. Yet, when FSA harmed, tortured or even murdered captured soldiers of Bashar Assad, it was commiting violence which was counter-productive to the overall Syrian struggle for freedom. Assad’s regime, because of this violence of FSA, is calling FSA fighters terrorists which has led to many otherwise undecided citizens to take the side of the regime. Self-defense, if not intended to harm the adversary should not be labeled violence. Iranian opposition cannot reject self-defense, but violence is counterproductive and must be rejected by Iranian opposition for a successful struggle and transition from the Islamic Republic. Overall, there are two pathways leading individuals to nonviolence. The first are those referred to as principled or ethical nonviolence advocates. This group’s belief in nonviolence is often because of religious or moral reasons. Dalai Lama and Gandhi are examples of this group. Then there are those often referred to as advocates of strategic or pragmatic nonviolence who believe in nonviolence based on political analysis. This group which I belong to believe in nonviolence based on pragmatic and strategic reasons. My belief is that the best way to defeat the Islamic Republic is through widespread use of nonviolent methods (protests, strikes, disobedience and occupying public places) and Iranian national celebrations are tools helping Iranians organize for disobedience and unite for a common cause under the philosophy of nonviolence. I reject the strategy of overcoming the Revolutionary Guards and state security through killings, like in Syria, because of pragmatic reasons and the danger of destroying Iran. The second important point is that we need to realize nonviolence is different from pacifism. Both are against violence, but nonviolence is an active philosophy in the path of eliminating violence from society while pacifism is a personal belief and does not have a particular stand on societal change for the elimination of violence. As an example, my grandmother is a pacifist, but she is not an activist for a nonviolent revolution in Iran. Pacifists are willing to even make peace with Hitler. In Iran today, pacifists are those who call for peace and coexistence with the Islamic Republic. They are willing to accept silence if the Islamic Republic eliminates obvious violence and accepts their conditions (free elections, freeing of political prisoners etc.). They are willing to make peace even if Islam/Shi’ism remains the official religion of Iran (which is a form of discrimination against non-believers). While in nonviolence, because religious discrimination is a form of violence and declaration of religion in the constitution is considered a form of discrimination against nonbelievers, religious republics can never be accepted as a goal or means to an end. I’ve repeatedly stated and will continue to state that reformists, whether Islamists or secular old leftists who consider themselves reformists and justify and advocate “Yes to Islamic Republic” are advocates of violence, even if they reject murder and torture. Their violence is accepting religious republic and advocating the continued institutionalization of religion in the government, a stance which has religious and sexual discrimination (and thus violence) inherent in it. 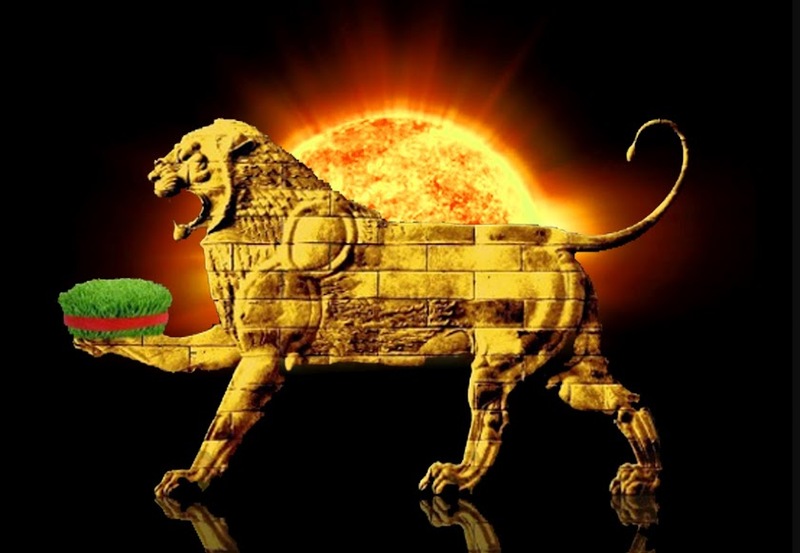 Amir Fassihi's Weblog on Iranian Politics, Society and Iran's Nowruz Revolution. 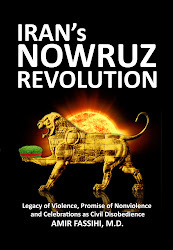 Author of "Iran's Nowruz Revolution: Legacy of Violence, Promise of Nonviolence and Celebrations as Civil Disobedience"